Six years ago, after seeing the positive impact of providing employment for women through our crochet hats, we began to create work for the men in community too. Starting with one man at home, teaching him how to carefully measure and cut leather to make bracelets, the leather work in DECE began. 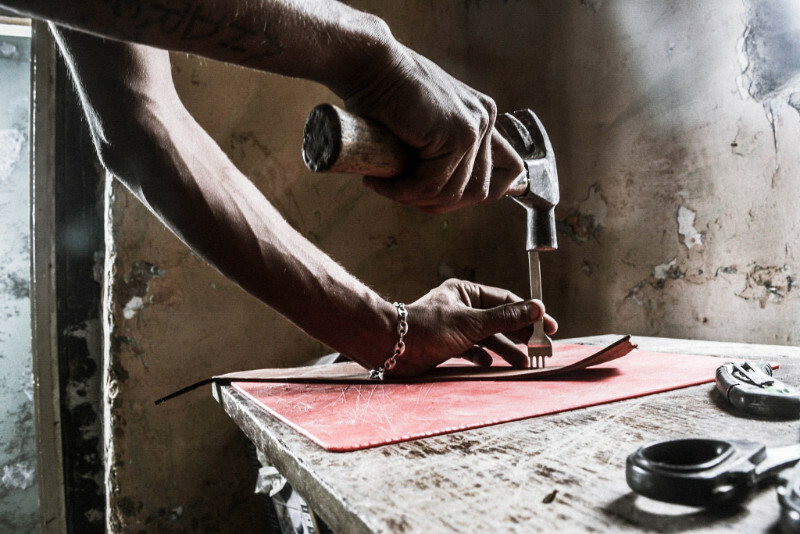 With determination and dedication the leather products developed and grew into belts, wallets, laptop cases and bags. One man in a small home workshop became 2 men walking down to our hub, then 3, then 4 and now we have a thriving leather hub. As you have seen over these summer months the apprentice program is up and running, men are investing in men. Trade and skills are being handed down, empowerment is birthing empowerment. 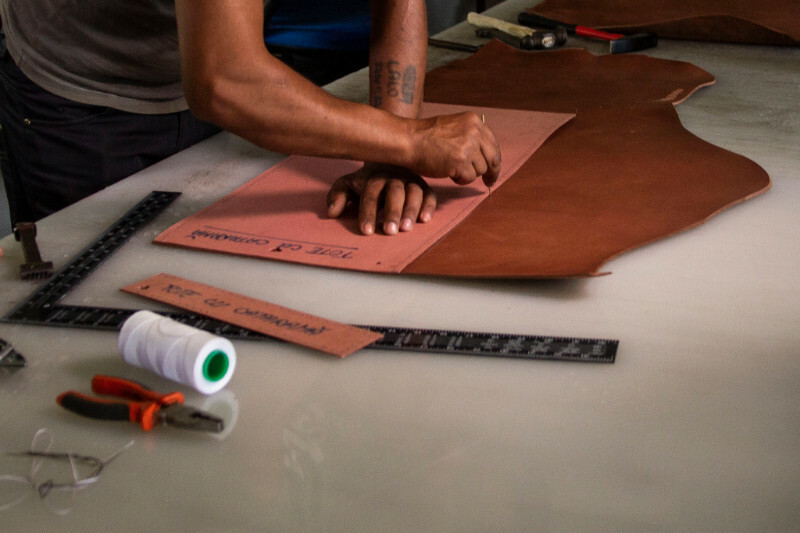 DECE artisans take pride in their work, crafting leather products each day, making sure the hand stitching is perfectly spaced and that the handcrafted fastenings fit each product exactly. These men have begun to dream up and design new products, and develop new ways of crafting the leather. This is why DECE exists, to see people empowered to step into their potential. To see fathers provide for their families and see a community transformed by employment.